My Impressions: Simon Say Stamp November Card Kit Reveal! (and GIVEAWAY)! 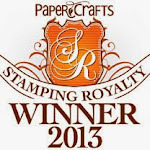 Simon Say Stamp November Card Kit Reveal! (and GIVEAWAY)! 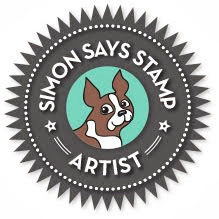 Today is reveal day for the Simon Says Stamp November 2015 Card Kit: Handmade With Love! This month's kit is a great one for these autumn days! 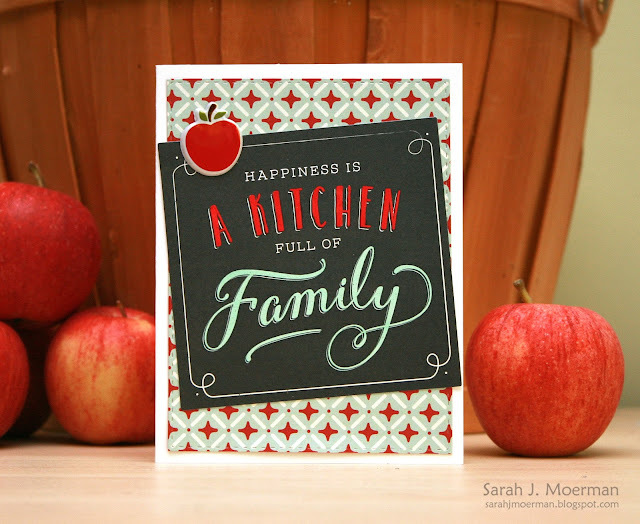 Simon's new Apple of My Pie Stamp Set has some great images and fun sentiments. The Pebbles Harvest 6x6 Papers, their Harvest Chips Printed Cardstock Shapes , Harvest Rub Ons, and Apple Puffy Stickers are too cute. Also included in the kit are some of Simon's wonderful cardstock colours as well as some of Simon's new 120 lb White A2 Side Fold Cards. Having a number of apple trees in our backyard, I see these stamps and other kit goodies getting used often to go along with yummy homemade gifts. Using one of Simon's Side Folded Cards as my card base, I adhered a piece of the Pebbles Harvest Patterned Paper that was die cut with one of Simon's Stitched Rectangles Dies. I then added one of the Pebbles Harvest Chips Printed Cardstock Shapes, colouring 'a kitchen' and 'family' with Copic Markers and a Zig Clear Wink of Stella Glitter Marker. Finally, I finished the card off with one of the Pebbles Apple Puffy Stickers. I love this card and I love how you used your apples as a prop! :) This month's kit is fantastic! OK, Those chips are really cute! I had never heard of them! This kit is awesome.....easy peasy cards can be made from it. I too, like that using the chips ( die cuts) to give with a homemade treat from the kitchen would be nice. I liked your card inspiration too. Very pretty. Fabulous kit and your card showcased it beautifully!!! Okay, I love food and this is right up my alley! The chips are going to be my favorite! Wonderful card! This looks like another great card. I love the fall colours, so I am so immediately attracted to this beautiful kit!! What a sweet card! 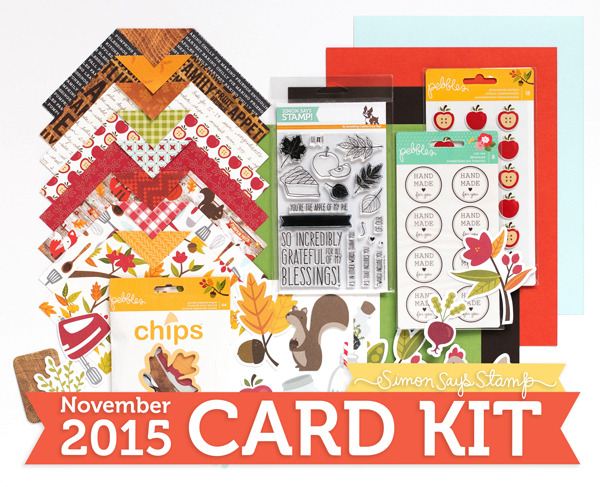 Love the journaling card in there, just a great fall kit! Your card is my idea of a happy holiday celebration. Love it and in love with the November kit. Great card! Love the "homey" feel to it & the luscious patterned paper. I am a real fan of those gorgeous paper pads! Fall is my favorite time of year and so this kit really drew me in. Love those little puffy apple stickers and the Chalkboard sentiment. What a great idea to color some of the letters in with Copics! This kit is just wonderful! Love your card. There's so many great things to create with this kit! Love the new kit and your card is super sweet! Thanks for the inspiration. That is so true, Sarah! The place where everyone gathers. What a lovely card! The papers in this kit are gorgeous and fun. Thanks, Paulette S.
since google has me linked to the outdated blogger profile with closed email address, for a blog moved to WP in 2012, they will not edit or delete it, or let me do so!!! What a great retro feel to this card Sarah! Love the colors and simplicity! Such a lovely Fall theme card! This kit is full of great things!!! Wow! Such a great card! And it looks like an awesome fall kit! What a fun quick card...love the colours in this kit. Love all the fall colors in this kit. Your card is gorgeous. Pops of red are my favorite! Lovely color combo and another wonderful kit. The card has a great sentiment on the front. It looks and sounds like a card kit is fun and impressive. Thanks for the giveaway. How adorable! I love the little puffy apple chip.